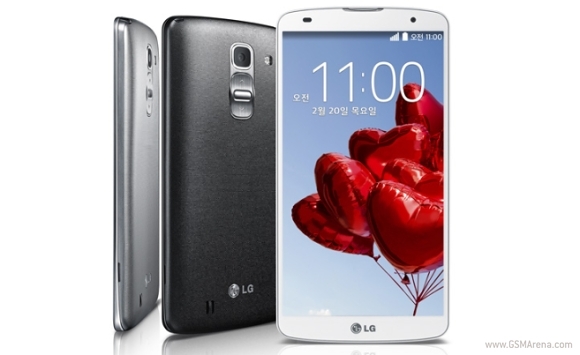 LG officially outs the G Pro 2 in Korea. Besides its unique power/lock key and volume rocker at the back, the 5.9 inch phablet offers top of the line specs. The LG G Pro 2 will come with a 5.9 inch full HD IPS Plus LCD display (1080 x 1920, 373 ppi), a 2.26 quad-core Qualcomm Snapdragon 800 processor, 16 or 32 GB of storage (+microSD), 3GB of RAM, LTE-A, Wi-Fi a/b/g/n/ac, NFC, Bluetooth 4.0, SlimPort, and microUSB port. It will also have the 13MP cam of the LG G Pro 2 with enhanced optical image stabilization (OIS+), and a 2.1 MP front cam. Video recording includes 4K UHD and 720p @ 120 fps. It will come in black, white and titanium. The phablet is powered by Android 4.4 KitKat and a 3,200mAh battery. There’s no other info regarding pricing and availability. LG will most likely showcase the device in the MWC this February. This is an exciting time for the mobile industry! The new flagships are coming! HI THIS IS CHRISTIAN!!! MAY I KNOW YOUR EXACT EMAIL ADDRESS??? ?OR ANY ACTIVE CONTACTS?? PLEASE PM ME AT [email protected]!! !